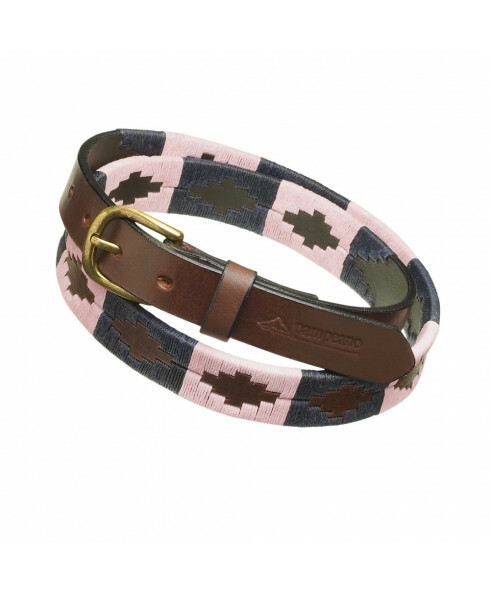 Stunning skinny (2.5cm) version of our phenomenally popular hermoso belt in pink and navy. Gift boxed. The beautiful thing about pampeano polo belts is that they have been designed to grace the waists of everyone. Not just those charging down the polo pitch and those strutting along side – but also those waists that have never attended polo before and can just appreciate a stunning Argentinian leather belt. 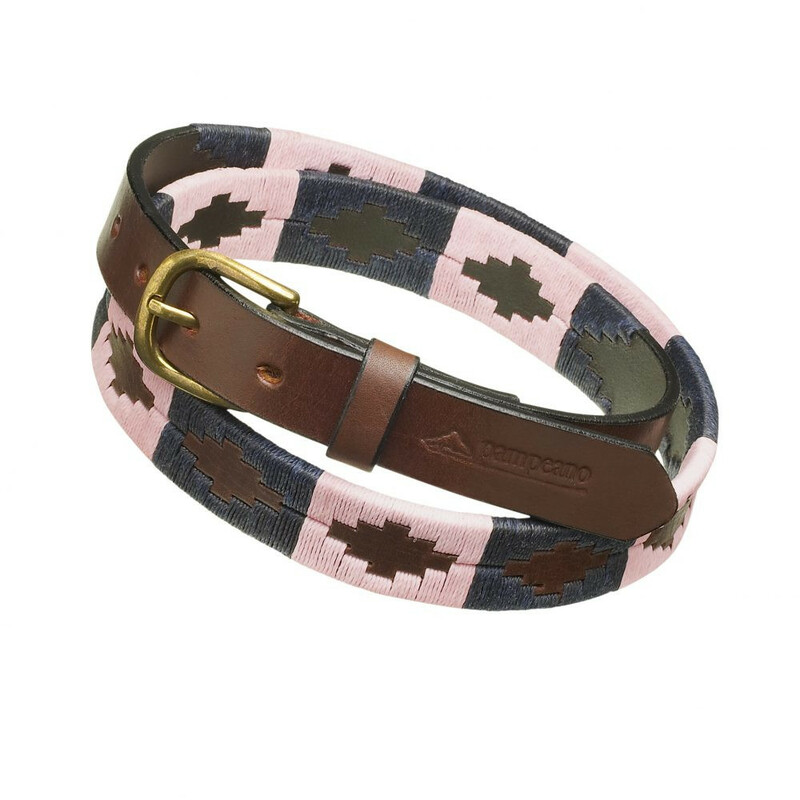 This particular polo belt, the Hermoso skinny, displays the beautiful pink and navy thread in the striking diamond design and being the subtle skinny belt it is, can go with a myriad of ensembles, jeans, a maxi dress or skirt and in particular works well with jodhpurs and polo whites.